GLAMGLOW Facemasks For £7, That’s Impossible, Right? Let Me Show You Where I Just Bought Mine! GLAMGLOW is the really swish Hollywood skincare brand with colourful facemasks that celebrities are seen using on Instagram. Their products are pricey, with little lip balm sized pots of product costing £15 and up. 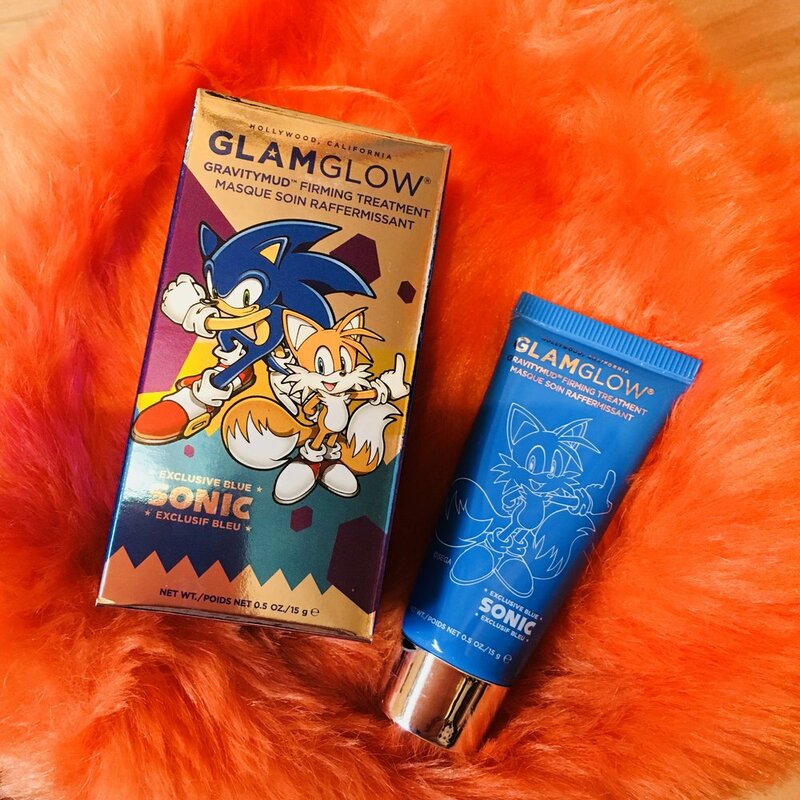 Well if you are quick I’ve spotted Boots.com have their limited edition Sonic the Hedgehog mask range, from 2017 reduced down to £7 on their site, which is crazy cheap for GLAMGLOW. It’s their classic Gravity Mud Firming Treatment in a themed blue shade, peel off mask. The Sonic branded one is gone, but the product is the same in all three boxes that were launched anyway. I picked up the Tails one, which is available here. The other box is Knuckles, who I don’t remember from the game, I was always a Nintendo kid! You can buy it here. Of course it’s a tiny 15g supply, which will be maybe one full face mask, or two localised area masks if you apply it to problem areas. For £7 it’s fun to buy just to try GLAMGLOW and have that Instagram celebrity experience. Don’t forget shipping it FREE if you use click and collect to your nearest Boots store and call in to pick up your package yourself. Boots.com also have the GLAMGLOW Power Rangers masks in their colours should you fancy a bright green face mask!